I’m feeling somewhat unfocused again today. I woke up yesterday morning and decided I was going to get my caffeine addiction under control. I have been overindulging in the past month or so and my ability to get a good night’s sleep was being severely compromised, and my schedule was all out of whack (staying up way too late at night, and sleeping way too late in the morning). This was my caffeine schedule before yesterday: Two cups of coffee when I woke up (in my defense though, both Brett and I drink our coffee half-caffeinated), then approximately 12 – 24 ounces of ice tea, followed by another full cup of coffee in the afternoon, more iced tea at dinner and another half cup of coffee after dinner (I drank water in between). I was WIRED! I’d been staying up until between 2:00 and 3:00 a.m., and not waking up until 10:00 or later in the morning, which was ridiculous. By the way, caffeine has absolutely no effect on Brett. He can drink coffee all day, finish a cup at 10:00 p.m. and be asleep by 10:10. I wish. Anyway, yesterday I had one cup of coffee in the morning, which seemed to be enough to hold off the caffeine withdrawal headaches I was expecting, and drank water the rest of the day. I’m doing the same today, and will probably continue for one more day, and then may or may not add back in some iced tea on Tuesday. But, no matter what I have, I’m finished with having any caffeine past noon. Because I wasn’t wired yesterday I took a couple of naps, so I still ended up staying awake until nearly midnight. I again slept until nearly 10:00 a.m. this morning though so I either needed the sleep or my caffeine addiction has screwed me up more than I realized. Reading: I’m still working my way through Spark Joy, Marie Kondo’s second book. Some of it is a repeat from her first book, but I’m still picking up tips and thinking again if there are things I can get rid of. Listening to: Dogs barking, lots of birds singing and the girls chatting away about something in their room. They’ve been working together to get it cleaned up. It’s a very quiet Sunday around here though. Watching: Brett and I are thoroughly enjoying The Laura Mysteries and have several more episodes to go. Tonight though Brett and I are going to watch Saving Private Ryan. Cooking/baking: Brett made pumpkin pancakes for breakfast this morning (that I could eat – they contained egg but no dairy) – yum! We polished off all the leftovers yesterday, and this evening we’ll be enjoying vegetable lo mein, chicken potstickers, and chili shrimp. Happy I accomplished last week: Besides getting started on a caffeine reduction plan, I also finished up another photo book for my Mom this past week, focusing on WenYu’s graduation. I’ve also been working on cleaning out our freezer, and finally got all the stray bread crusts gathered together, toasted and turned into bread crumbs (a bigger project than it seems). Thinking of good things that happened: We got back a $176 refund from Brett’s health care provider – it turned out our military insurance paid 100% of what Medicare didn’t cover, and we had overpaid. That refund will go along with us to Oahu next week! We also put $9.30 into our change/$1 bill jar. And, both girls are now done with the school year – we are officially on summer break! We have also been able to wear some of WenYu’s lei this week – we’re surprised (but happy) they’ve lasted this long. Thankful for: Tomorrow is a day to remember the men and woman of the service who gave their lives for our country. I am beyond grateful for the sacrifice of these men and women. I cannot even begin to imagine what they experienced or how they did what they had to do, and the conditions many served under. There will be no barbecues, sales or shopping here, just a quiet day of remembrance. That’s a wrap on what’s going on at Casa Aloha today other than we’re heading to the beach in a few minutes. How are you spending your weekend? How is your Sunday going? “It is easier to do it right than to explain why you didn’t” I think it was by Robert Kennedy but not sure. That’s a good one – I will remember it. Believe it or not, the quote comes from our 5th president, Martin van Buren! 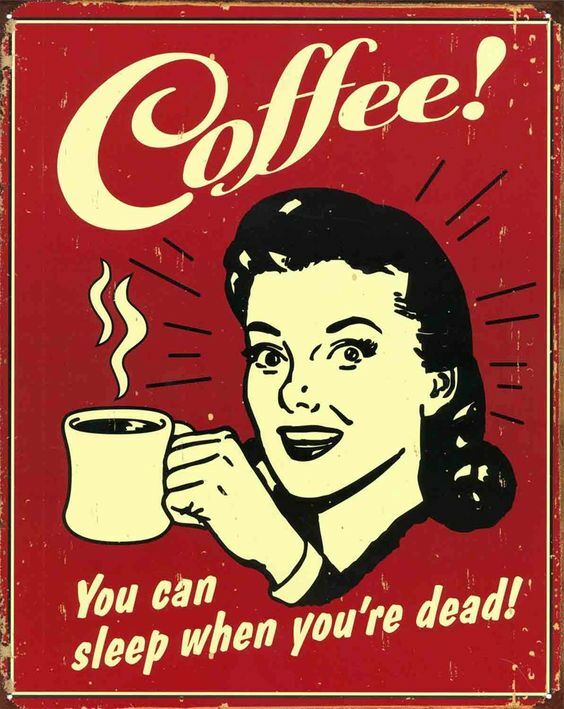 Good for you for limiting the caffeine. I do the same thing and the “usage” creeps up on me at times. I really notice it effects my sleep schedule when I drink any caffeine after 2pm. I never have understood those people who can drink it all day and night and sleep like a baby. Recently we had some Irish relatives visiting and they drank tea until midnight and then were able to fall right to sleep. I could never do that. We are celebrating our 23rd wedding anniversary this weekend. Spent the weekend camping with the kids and the dogs. Inner-tubing down the river, swimming in the pool, hiking, exploring all of the vintage shops in a quaint town. Was a nice getaway and is so great to be home sweet home. Hey Laura, I know you have used a few different hosts for your blogs over the years. Any advice you could pass on? I have an idea for a blog. Not sure if I should go with a free one like blogspot.com or if there is something better out there? I know you have researched–would you mind sharing? First, BIG congratulations on your upcoming anniversary! We spent many of our anniversaries with our children, including our 25th – didn’t make them any less special or meaningful. The second Maya Angelou quote is actually my favorite, and I have found it to be both helpful and meaningful many, many times. The third quote has proven true many times as well, that it’s the act of committing yourself to an idea or plan that sets things in motion, and calls forth all sorts of help you never saw coming. In my opinion WordPress is the way to go if you want to blog. You can start with a free blog (which is what I do), but they offer many ways to upgrade if you want. I tried blogspot.com but could never get into, but YMMV. YaYu just recently started a blog with WordPress for one of her school clubs and has said how easy and fun it is. Anyway, let me know when you get it up and going! We had a combination weekend – a combination of crazy soccer tournament combined with some relaxing on Monday. We missed Nick, who was off playing surfer boy & camping in Santa Cruz with a buddy. I absolutely LOVED that picture of Nick at Santa Cruz! Just a perfect capture of time, place and age. I still don’t know how you do all that you do and remain sane. You need to bottle and sell it – I’d buy!